PALMDALE – The Palmdale Playhouse and Palmdale Repertory Theatre will hold open auditions Friday, Dec. 14, at 5 p.m., and Saturday, Dec. 15, at 9 a.m., for the upcoming production of “The Little Mermaid.” The auditions will be held at Legacy Commons for Active Seniors, located at 930 E. Ave. Q in Palmdale. All roles are available. Males ages 10 and up and females ages 15 and up are eligible to audition. Participants should be prepared to sing 16 bars of music in their vocal range. Use of a CD or song downloaded on a personal device is permitted. No background vocals please. Dancing ability is required. Participants should dress comfortably, bring a water bottle, and allow up to two hours to complete the audition process. A parent or guardian must remain with minors during the audition. Once the cast is selected, rehearsals will take place at the Palmdale Playhouse, located at 38334 10th Street East, on Fridays, Saturdays and Sundays, starting on Jan. 5, 2019. 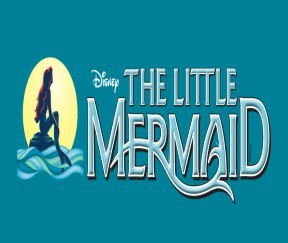 Performances for “The Little Mermaid” will take place in March 2019 at the Palmdale Playhouse. Persons who are interested in working behind the scenes to build and paint the set are invited to contact the Playhouse at 661-267-5684 for details. Disney’s The Little Mermaid is presented through special arrangement with Music Theatre International (MTI). All authorized performance materials are also supplied by MTI. For information, contact the Palmdale Playhouse at 661-267-5684. 2 comments for "Palmdale Playhouse to hold open casting call for The Little Mermaid"
Due to the Me Too movement. The kiss a girl song will not be performed. I would encourage all of the posters on the AVT to go to the audition. This could be the big break for those looking to get into showbiz.